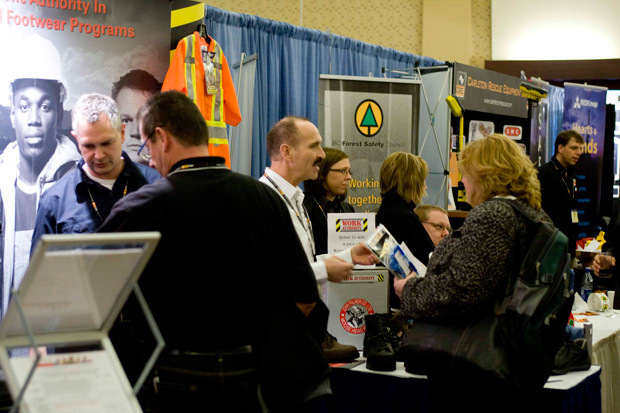 The Western Conference on Safety tradeshow is much more than a place to shop. With 80 tradeshow booths it’s designed to be an integral part of your learning experience with a superb range of new services and technologies to examine. Safety product suppliers, safety training agencies, non-profit safety associations, and many other organizations will be showing their latest innovations and products. If you are contacted by any company representing themselves as a booking agent for hotel guest rooms at the Western Conference on Safety, the Western Conference on Safety has not contracted with any company in regards to hotel room bookings. If you are looking for accommodations for the Western Conference on Safety you should contact the Hyatt Regency Hotel directly. The link to book on line is found by clicking here or call 1-800-233-1234. The Western Conference on Safety has NO association with any Conference Directory nor any other listing company that may contact you. We neither endorse nor promote nor support in any way, any directory or product. If you have been contacted by a listing service, you may wish to contact the Competition Bureau in Ottawa or the Canadian Consumer Information Gateway for advice. To distribute information or conduct business, you must have a tradeshow booth. The Western Conference on Safety reserves the right to remove anyone who violates this policy. Envirosafety Confined Space Safety Equipment Inc.
Mure & Peyrot Canada Inc.
Our tradeshow has sold out! Give us a call at (604)233-1842 to be put on the waitlist. And to be sure that you still get some exposure to a great group of people responsible for safety at their workplace in one form or another, consider Spotlight Sponsorship! Details are below. click HERE for up to date tradeshow floorplan.